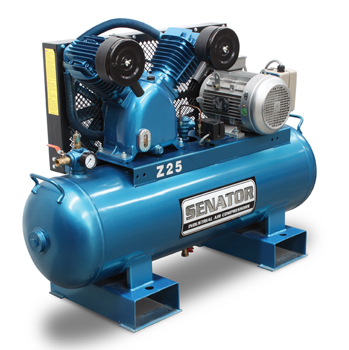 Piston Compressors are the oldest form of compressing air. A bicycle pump is the simplest form of a positive displacement compressor, where air is drawn into a cylinder and is compressed by a moving piston. The piston compressor has the same operating principle and uses a piston whose forward and backward movement is accomplished by a connecting rod and a rotating crankshaft. If only one side of the piston is used for compression this is called a single-acting compressor. 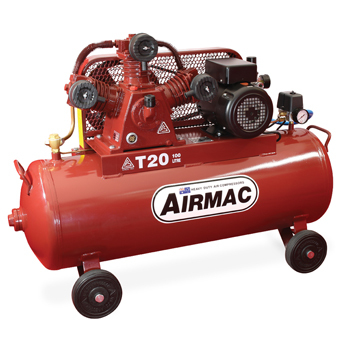 If both the piston’s top and undersides are used, the compressor is double acting. Compressing the air in stages uses less energy and reduces operating costs. The air is cooled after each stage before being compressed further to the final pressure. This also increases the energy efficiency, with the best result being obtained when each compression stage has the same pressure ratio. However, there is an economic limit for the number of stages the design of a real installation can use. With the exception of very small compressors having vertical cylinders, the V-configuration is the most common for small compressors. 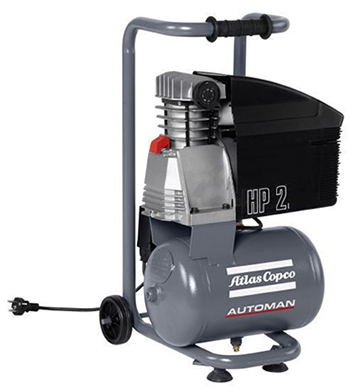 Piston compressors come in all sizes and configurations from the hand held portables, through the handyman sized units to stationary machines. They are often tank mounted, with either horizontal or vertical receivers or can come in silenced enclosures. 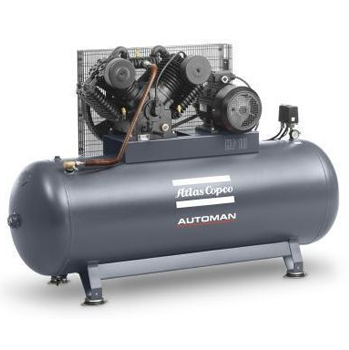 Piston compressors need to be sized so that the duty cycle does not exceed 60% operating time, with a general industry recognised maximum of 6 start/stop cycles per hour. 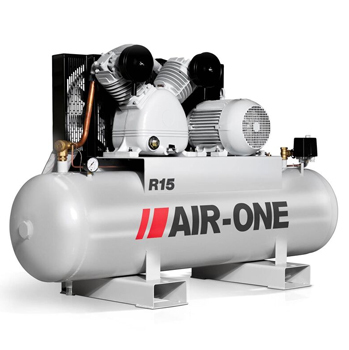 They are relatively cheaper air compression system and easy to maintain, however are very noisy in comparison to the screw compressor.